yard to be soiled in your purity. swallow, creator of town and tomb. I am praying with my hands open. the air bends you into. earth & I are like sisters. he’ll hear what we do. 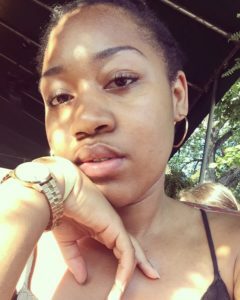 Azia Armstead is a poet based in Richmond, Virginia. She currently studies English at Virginia Commonwealth University and is also a fellow of The Watering Hole. Her work has been published by JoINT. Literary Magazine.